My doctor is training an intern and we started chatting and sharing stories. A lot of kids come out of school and are given the opportunity for a free internship and turn it down because they want to be paid. This is tactical thinking because those that have the intern experience, once a job does open up, are in far better shape for that job than someone that has done something unrelated for that same period. Let’s talk about interns this week. There are virtually no well-paying jobs that don’t come with an “experience” requirement. There have been entire classes of kids coming out of expensive schools who are unemployable either because the market is soft or they don’t have the necessary experience (and often both are true). School doesn’t teach how to do a job, generally, it teaches you how to learn and gives you a foundation to learn from. And this tends to create a cart and horse problem, you can’t get a job without experience and you can’t get relevant experience without a relevant job. Now there are unpaid, and more rarely, poorly paid internships. Because the money paid isn’t that significant it really depends on what your financial situation is and what the internship is. College costs have gone up substantially since I was in school and I many students exit school with debt in the $150K to $300K range, a debt they have to start repaying as soon as they graduate. However, making a choice based on that can hurt you in the long run. 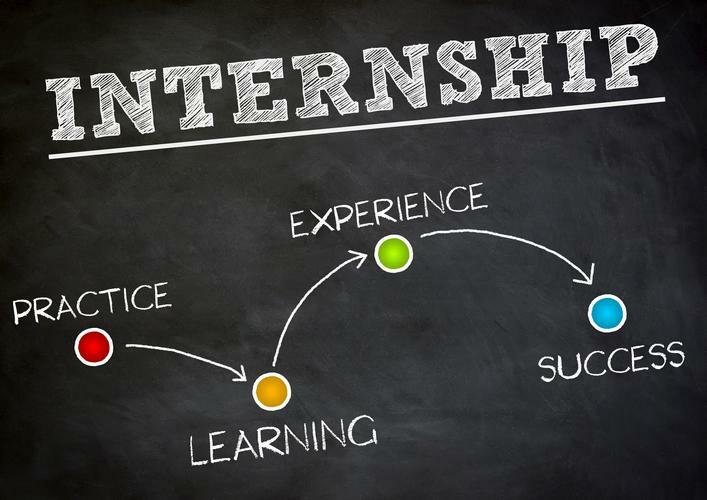 The quality of an internship you choose now sets the foundation for a good job, salary and advancement rate for the paying job you will get as a result. There are always choices, a second paying job (which is what a lot of folks do), parental help, extending the loan, and getting a sibling or spouse to pick up the slack are all options to consider. After investing hundreds of thousands into getting a great job don’t make a bad short-term decision by turning down an internship with low or no pay that can offer long-term benefits. A law school graduate came out of school right when the market tanked in 2008. No jobs were to be had so he got a free internship at a law practice and had a second job to pay the bills. Once jobs started to open up the law firm hired him. Effectively, the firm created a job that matched his skills and experience, which locked all of the other inexperienced candidates out. Another example, a guy who got an internship when he came out of EMT school. Once jobs opened up he not only got a job but his prior internship counted as experience so he started a grade higher (with a higher salary) and when a management job opened up later that year he was pushed into management. This was while the kids that went to school with him still hadn’t found jobs in the field they trained for. The point overall, this is experience and it counts so that you aren’t treading water or having to explain why the job you held has nothing to do with your degree when you apply. Also, realize your education times out. After 2 or 3 years without a relevant job your job history easily trumps it and while a degree is better than none the value of that degree can drop like a rock if you don’t get hired. Hiring managers just figure there was something wrong with you. One of the advantages to a startup is that they tend to give away stock options to folks that join early and this can pay off hugely if the firm goes public. However, this last step isn’t a given and a lot of the folks I’ve known who worked for a startup for free ended up unemployed.